So, Emerald has been officially declared the colour of the year for 2013. Speaking of which, who on earth decides these things? Fortunately Wiki has the answer: "Twice a year the company hosts...a secret meeting of representatives from various nations' color standards groups. After two days of presentations and debate, they choose a color for the following year...the color for summer 2013 was chosen in London in the spring of 2012." So I guess this means they chose a colour for the future nearly a year before it has arrived, LOL. Regardless, companies are always quick to jump on the Colour of the Year bandwagon - Sephora's contract with Pantone means they release a bunch of "Sephora x Pantone Colour of the Year" makeup every year. And the fashion brands and houses? They're all over this like white on rice. I always thought fashion involved creativity, but seems like every year these companies just try to put out different iterations on the same old trends. (That said, I still love peplum. That frilly thingy in front hides my tummy so well.) Just look at my artfully-created below diagram (yay for fiddling around teh interwebz! ), and you will know what I mean. That said, I guess it's not a bad thing - if you happen to like the Colour of the Year. I hope TAUPE gets named colour of the year one day, so I can have more taupe eyeshadows and taupe nail polishes. Yes, I iz teh TAUPE HOARDER, and I iz proud of it. 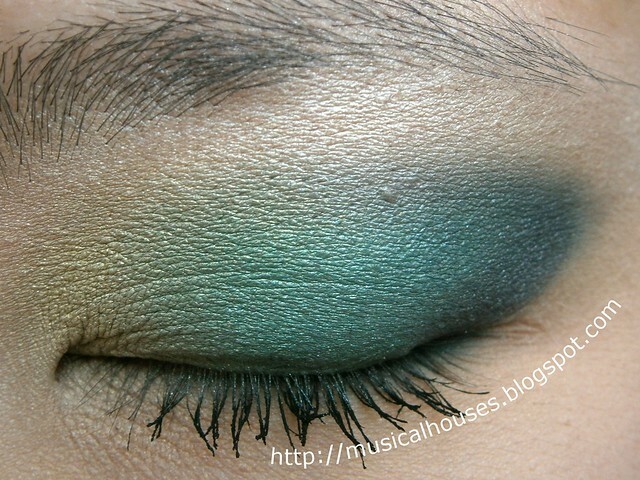 In fact, I have a whole post dedicated to taupe eyeshadows comparison swatches (so you can get the PERFECT taupe, no less), and other posts dedicated to various taupes, both cheap and expensive - drugstore gems once raved about that people then forgot about (so typical of us makeup hoarders), taupes from indie brands, drugstore gems that should be raved about but aren't, and #$@&^%ing exxpensive taupes. So I am totally lobbying in my head for taupe to be the colour of the year, one day. Then TAUPE EYESHADOWS WILL ABOUND! Muahahahaha! But, regardless, today is not the day for taupe. Today is the day for emerald. 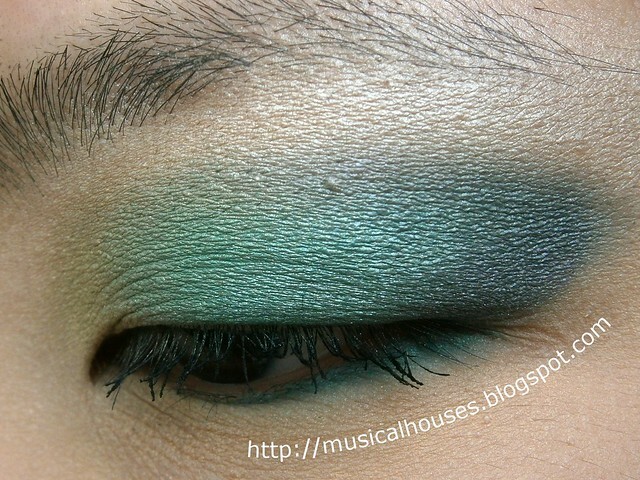 And what better way to note this day than to do an eye look with emerald? I do like this eye look - I think it's bright but so happy looking. I think the yellow in the inner corner really made a difference to the look too, otherwise it would've been a little flatter. I think that adding a contrasting colour really helps, and I should try it more often! And I do love emerald as a shade - I just don't like feeling like I HAVE to get something emerald because it's the "Colour of the Year". Dear companies, I'll buy/wear emerald stuff when I feel like it, thanks! <3s, bored blogger. I did always wonder how the color(s) of the year was determined, haha. Thanks for the great post! I'm warming up to emerald colors... I'm looking forward to seeing what's coming out in the next few months! I totally get your point, I was not a fan of that tangerine shade... but emerald is *my* kind of colour so I'm on board! BTW, that green bag looks amazing; who makes/sells it? Thanks! I will have to look for something similar because I think it's gorgeous!